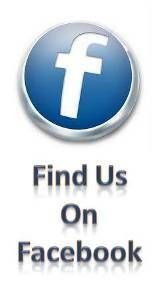 Play the Video to See What our Customers Say! "Click Here to check the license of 1st Choice Plumbing with the California State Contractor's License Board! "I know how Important a Fast, Reliable Plumbing Repair is to You!" "I Really do. When you have plumbing problems it disrupts your entire schedule. A prompt and complete repair is going to save you a lot of hassle. I've been repairing and installing plumbing locally since 1989 and my clients are consistently delighted with how I work. I really care about my customers, my trade and my reputation. You'll know the price before we begin, We'll fix it right, clean up our work area, and guarantee our work. Because so much of my work depends upon the referrals of my satisfied clients, your trust is something I expect to work for. Give us a call and get on with your Life. Our work is 100% guaranteed." San Fernando Valley automatic Earthquake Gas Shut off Valves. We install autmatic earthquake gas shut-off valves that comply with local building codes. "1st Choice Plumbing is responsive, prompt, diligent, neat, competent, pleasant, and fair." 1st Choice plumbing provides all the plumbing services for our 30,000 square foot office building. They have replaced toilets, cleaned and replaced drains, and most important, traced and stopped various puzzling < a href="http://www.1stchoiceplumber.com/slab-leak-location-and-repair.html"target="blank"> water leaks in the building. 1st Choice Plumbing responds to our calls usually within a few hours, very important when an entire company is impacted by a plumbing problem. They do not leave until the problem is fixed, and he stands by his work in the event of unexpected complications. He pays attention to the details - his work is aligned properly and he consciously minimizes the mess and disruption in his work area. The technician goes over the work to be performed before he starts and keeps us advised as it progresses. Where options are available, they are presented to us before the work is started. 1st Choice Plumbing is responsive, prompt, diligent, neat, competent, pleasant, and fair. I have already referred him to friends and family members. "The work was done quickly and done right." 1st choice worked on a leak we had in our sprinkler system. It was a tiny leak, but to fix it, it looked like we would have to jackhammer our flagstone patio. Your plumbers came up with a creative solution that not only properly fixed the problem, but also avoided digging up the patio, saving us thousands of dollars. The work was done quickly and done right. And when we had a small follow-up problem, 1st Choice showed up immediately to fix it at no charge. Yes, we were given three options. Whether you are having a plumbing emergency or you are just looking for a new plumber, give us a try. Need a San Fernando Valley Water Filter? We recommend Body Glove Water Filters. We can repair that old water heater or install a new energy efficient tankless water heater. Does your toilet or sink have a slow drain or do you have dirty water coming up in your kitchen sink or shower? We can repair that too. Do you need rooter service or a clean out installed. We carry a safe foaming root killer to control tree roots. Is water coming up through your floor? Maybe you need leak detection. We have top of the line equipment for electronic leak location and slab leak repair. Maybe you want to install a new shower valve or put a new handle on the old valve, or just get a new shower head.If you want to replace your kitchen faucet or bathroom faucet or maybe get a new lifetime warranty garbage disposal. Is your water pressure safe? We can check your water pressure and install a water pressure regulator if needed. And if you want to save money on your water and water heating bill we can install an ladwp submeter or a pump to deliver hot water to your kitchen or bathroom without wasting water, time or money. List of our service areas! check out this instructional page. Los Angeles Plumber If need a plumber in Los Angeles, CA and you live in the san fernando valley, check this page out. It has plumbing videos. 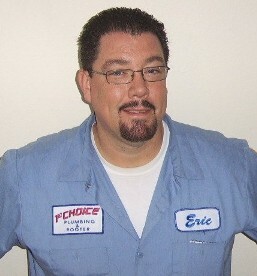 Friendly and experienced plumber in Encino, Ca offering a full range of domestic maintenance services in Encino, Ca. No job too small. Tired of waiting for hot water? The wait is over! anyone can have Hot Water to any Sink or Shower in Seconds! Save Money, Save the enviroment and Stop Waiting! LADWP customers save money on your water bill! Want to save money on your LADWP bill? Need a plumber in Sherman Oaks, Ca? Looking for water heater service or replacement in Sherman Oaks, Ca? Is it time to fix that noisy toilet, or replace the garbage disposal? How about a shiny new Kitchen Faucet? Los Angeles Plumber If you are looking for a plumber in Los Angeles, CA check this page out. It has Plumbing videos and tankless water heaters. 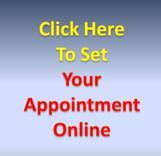 Great Plumbing information available on this site. Save water the easy way, push a button, save 15- 20 thousand gallons. San Fernando Valley Plumber. On time, Fixed right, Clean and guaranteed!